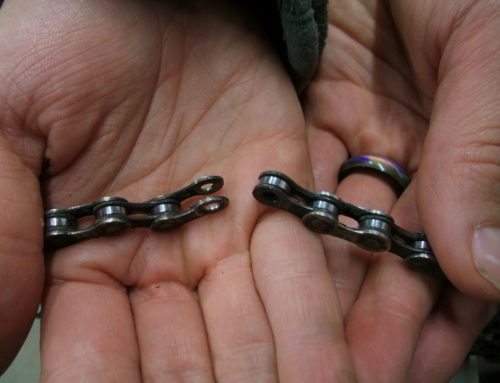 There can be many problems and solutions to bicycle brakes. This article will attempt to cover the common problems with caliper type brake systems, and only mention coaster brakes briefly. Check the brake pads. The first thing you will need to know is if the brake pads are too worn to work effectively. 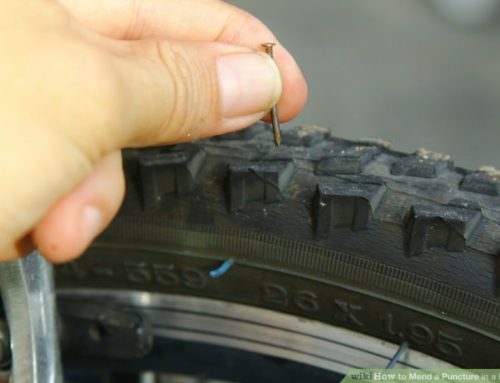 There should be at least 1⁄4 inch (0.6 cm) of rubber (the brake pad) between the clamp and the tire when the caliper is engaged to brake the bike. If the pads are worn out, you will need to replace them. Check the cables. Squeeze the brake handles and make sure the cable moves. If it does not, your cable may be stuck in the cable housing, or the clamp in the handle may be loose. Make sure the caliper moves when the cable pulls on it. Either squeeze the handle and watch the caliper close and open, or have someone else operate it while you watch. 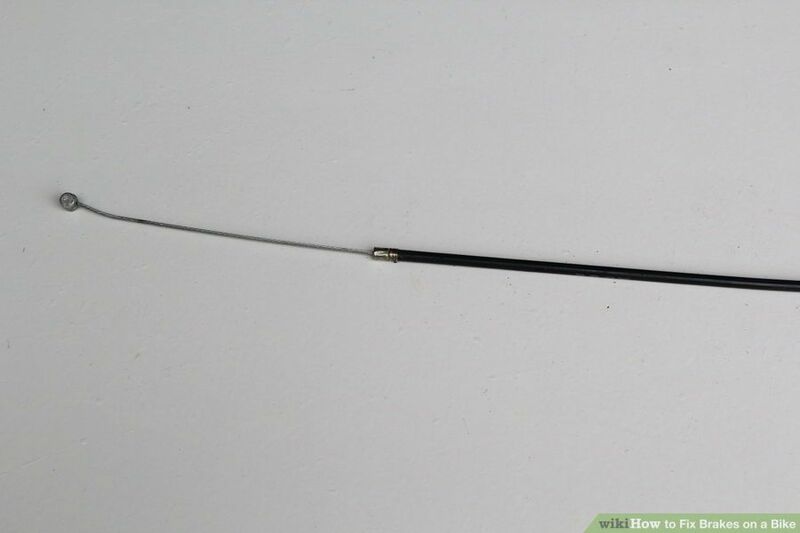 If the cable at the brake handle moves, but the end at the caliper does not, the cable may be broken inside the cable housing, and the whole cable assembly will have to be replaced. 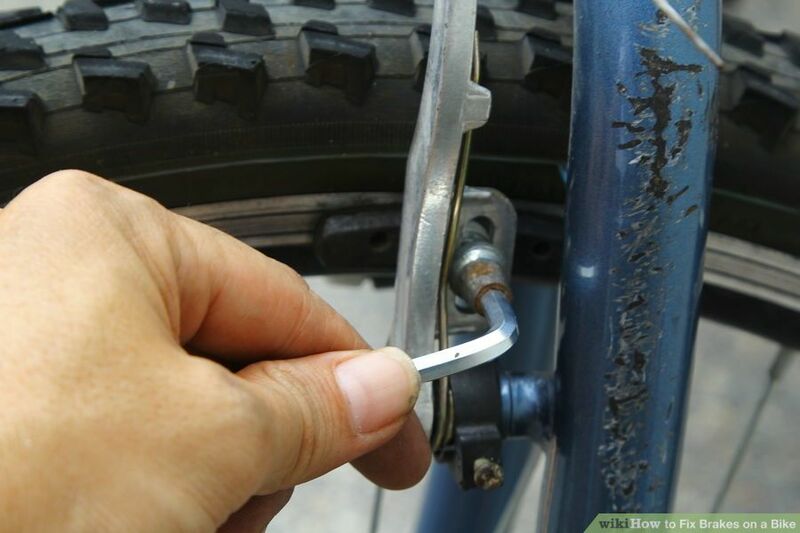 Watch the caliper to make sure both sides clamp against the bike wheel. If one side is stuck, you may find that only one pad is engaging the wheel, and this will not give you effective braking. 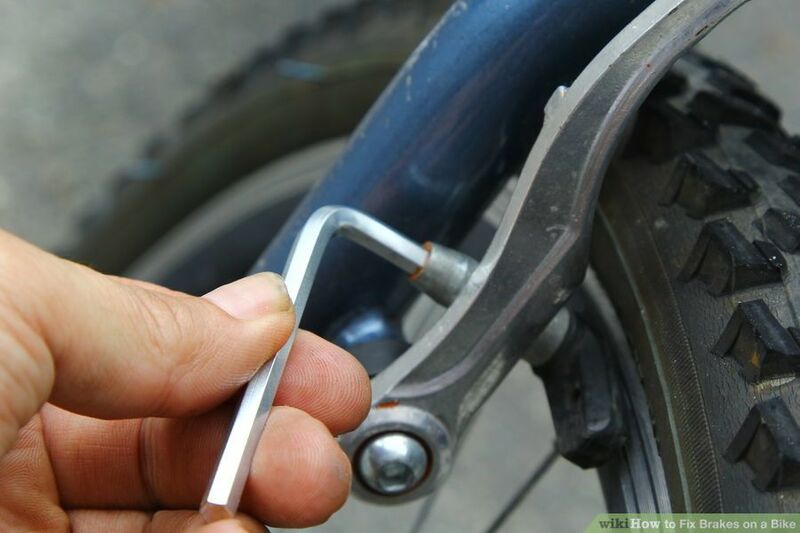 You may need to loosen the bolts that hold the caliper on the bike, and work it in and out to free up the mechanism. Some good light machine oil will help keep these moving parts lubricated. Purchase new brake pads. If you have the make and model of your bike, a Bicycle Shop can probably supply you with the correct brake pads for your bike. There are “universal” pads available at discount stores, but these typically only work on inexpensive bikes. 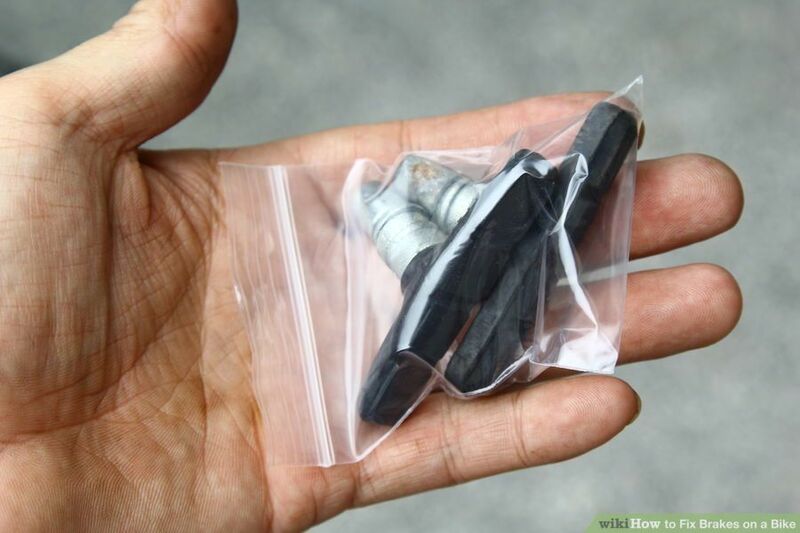 Remove the nut and washers from your old brake pads, and pull the pad free from the caliper arm. 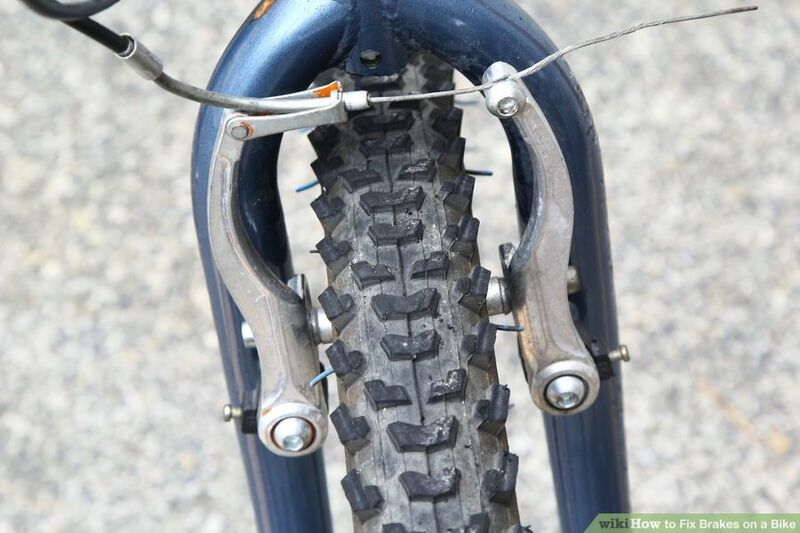 On most bikes, this can be done without removing the caliper from the bike frame. If the caliper must be removed to allow space to work on it, remove the nut at the top center of the caliper, slide the assembly out, and replace the nut on the stud without allowing the assembly to come apart. This keeps all washers, spacers, and the caliper arms in the correct position while working on it. Install the new pads, being careful to keep the pad surface “true”, or aligned with the tire. 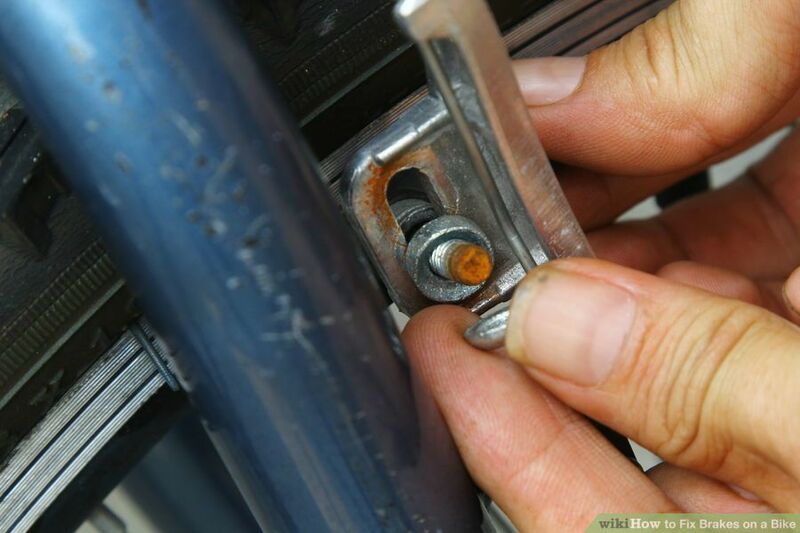 To prevent the pads from squeaking, toe the pads in slightly, so that the trailing edge contacts the wheel first. 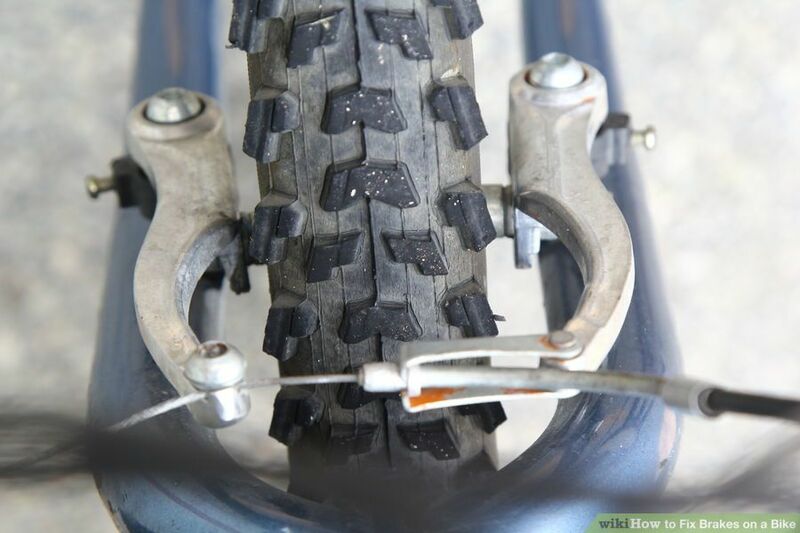 Make sure the pad height is near the center of the metal rim of you wheel. Pads mounted too low may slide off the rim, causing a dangerous situation, or if they are mounted too high, the pad will rub against the sidewall of the tire, which is also undesirable. 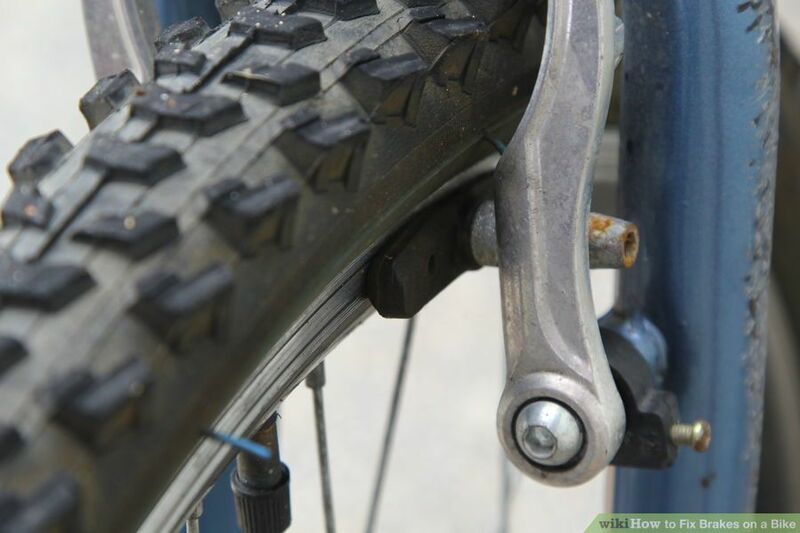 Check the adjustment of your brake cables. When the brakes are not applied, they should be about 1⁄4 inch (0.6 cm) from the wheel rim, and when the lever is squeezed, they should make full contact at about half the distance the lever will travel. Lubricate the cables. 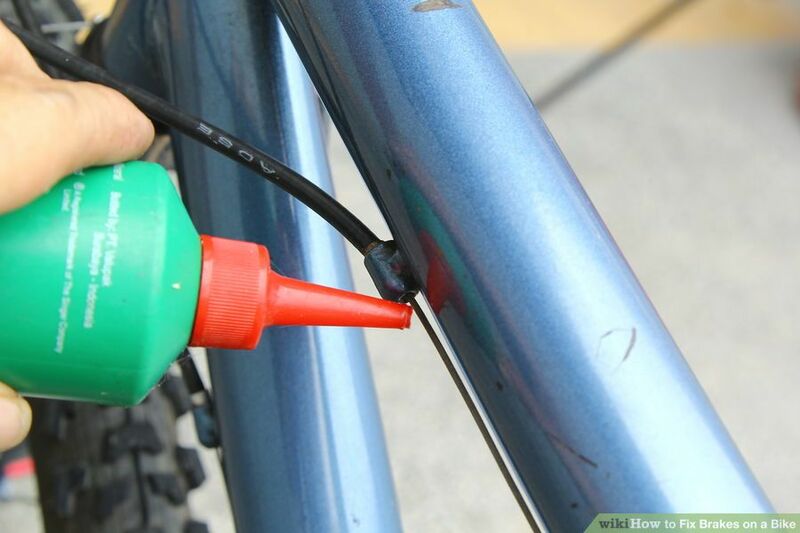 You may use a lubricant in an aerosol can with a tube to spray oil into the cable housing at the ferrell where the cable enters the housing underneath the brake levers. 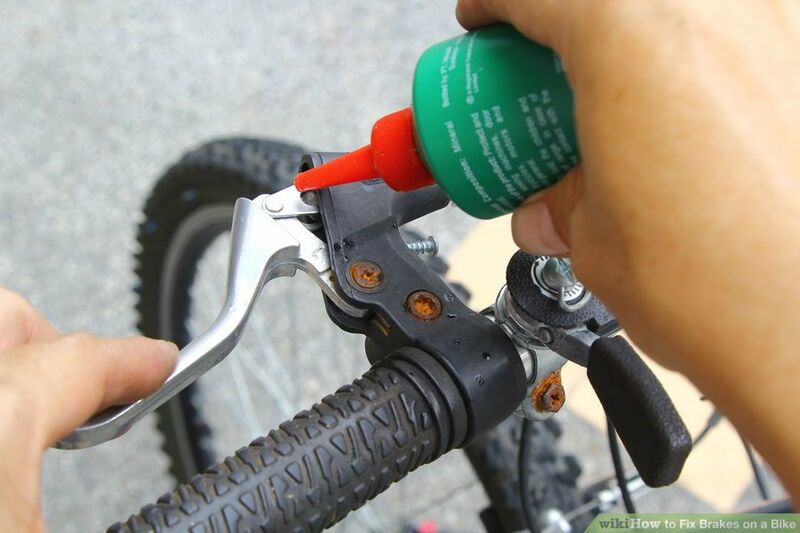 A light machine oil with a small nozzle similar to “3 in 1” Oil, or a special brake cable oil purchased at a bike shop is recommended. WD-40, and similar products may “wash” the factory lubricant off the cable, and when they evaporate, there will be very little lubricant residue on the cable. 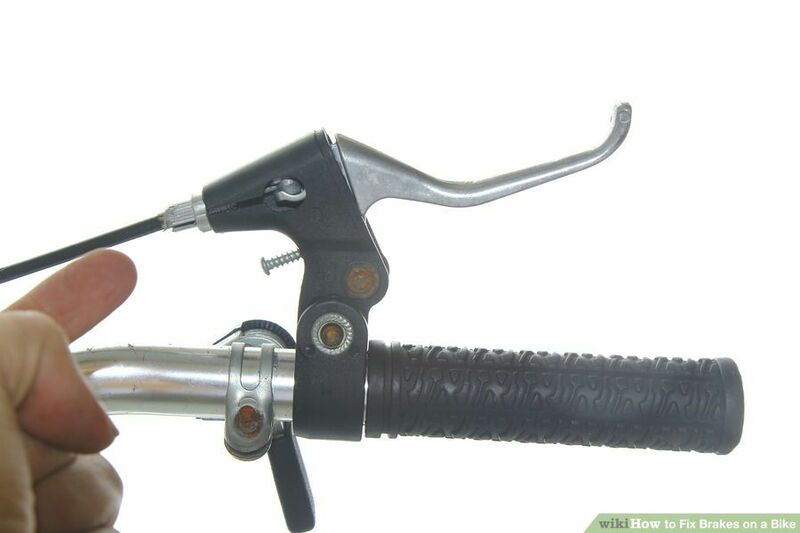 Remove the cable from its casing, only if it is very stiff, or difficult to operate.This is done by removing the clamp at either the caliper or brake lever, and pulling it out the opposite end. If you remove the cable, use an aerosol solvent (or even WD-40) to flush any dirt or debris from the cable tube while the cable is out. 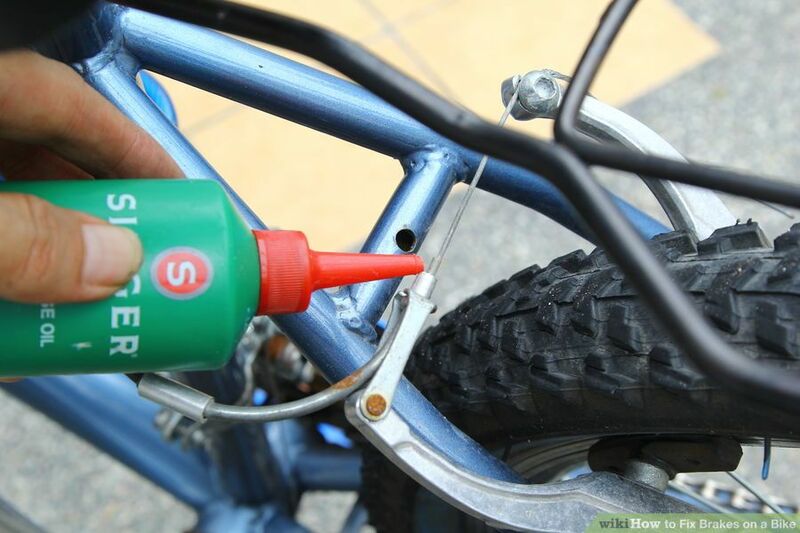 Apply a light coat of lithium grease or machine oil to the cable, and reinstall it if it is not damaged. 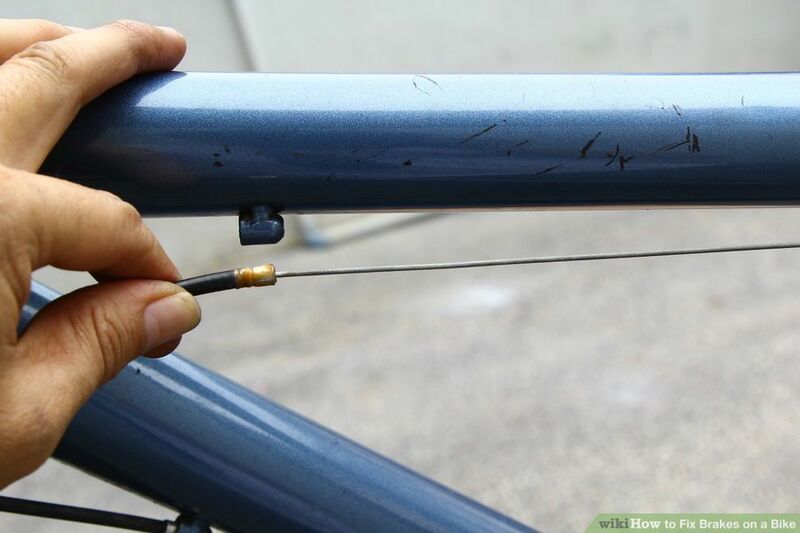 Thread the loose end of the cable through the clamp at the end you removed previously, and check the “free travel” (the distance the brake lever can be squeezed before the brake contacts the wheel). 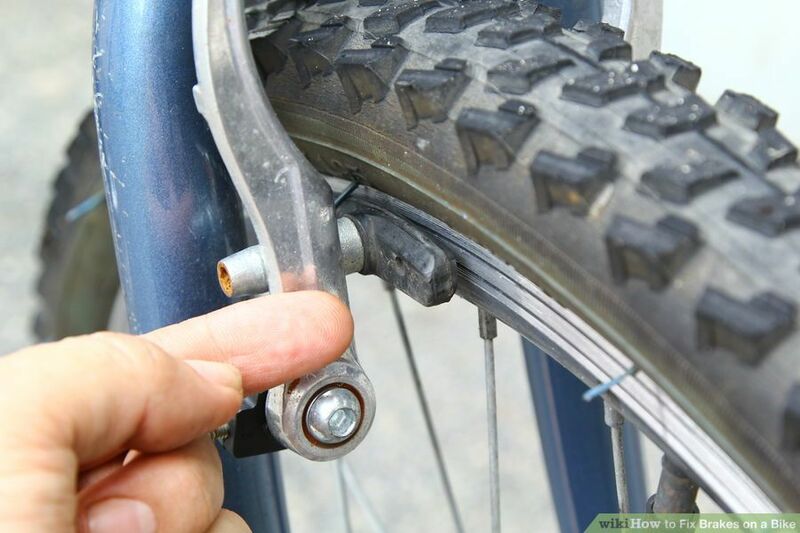 When the brake pads are about 1⁄4 inch (0.6 cm) from the wheel with the lever released, tighten the clamp. Replace either the cable, or the complete cable assembly if the steps above did not solve the problem of the cable not moving when the brakes are applied. Buy the same diameter cable, factory fitted, in the same length as the original equipment. Making up the ferrells, cutting the cables to the correct length, and threading cables cut with pliers through the clamps is a difficult chore. 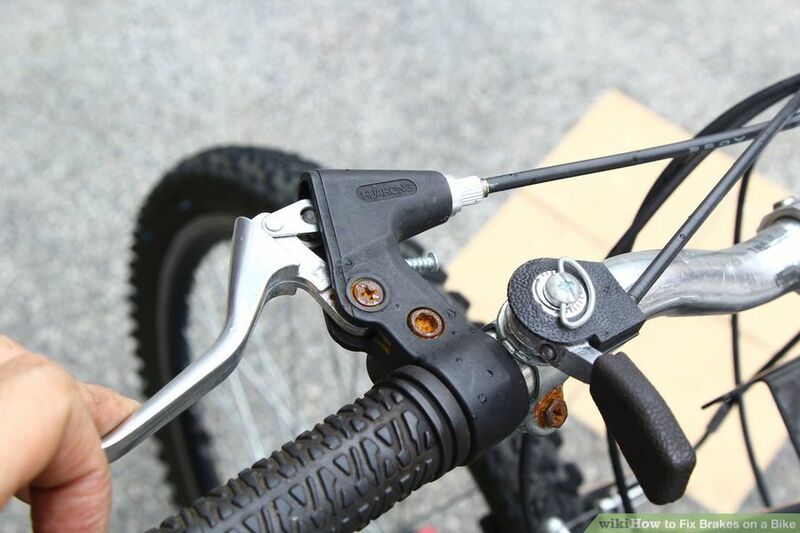 Check the cable clamps on the underside of your brake levers to be sure they are secure. Lubricate the “pivot” pin on the lever handle. Make sure the calipers are centered over the wheel. Make sure the springs are equally tensioned on each caliper arm. When you squeeze the brake handle, each side of the caliper should advance toward the wheel the same. If one side has more movement than the other, you will need to ascertain the arms are moving freely and well lubricated. 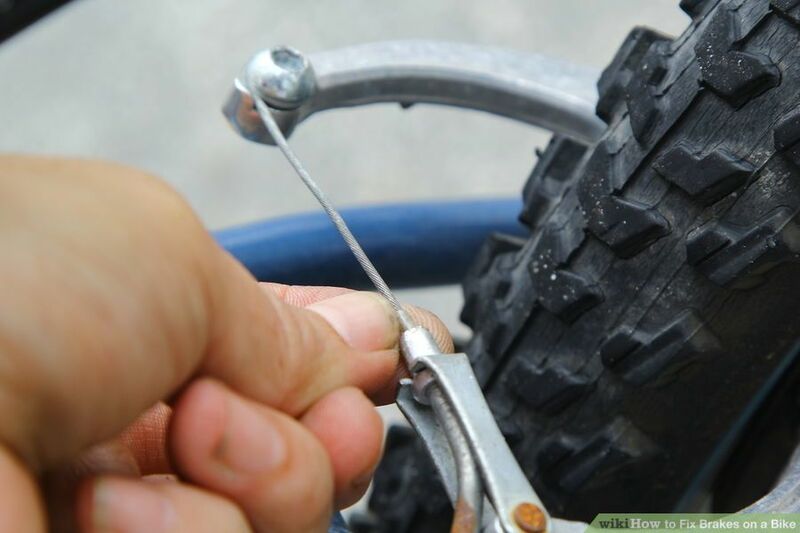 Tighten the spring on the side which moves the greatest amount by bending it with a pair of pliers, being careful not to nick the spring or break it. 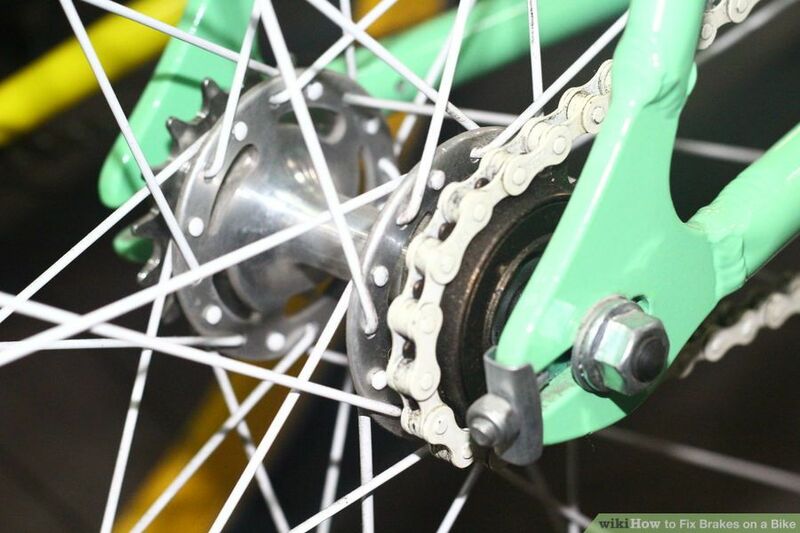 Rotate the pedals backward on your bike if it is equipped with coaster brakes.The pedals should only travel 1/4 turn and the brakes should engage. This all occurs inside the rear axle housing, and servicing is not recommended for a novice. Check the brake arm. 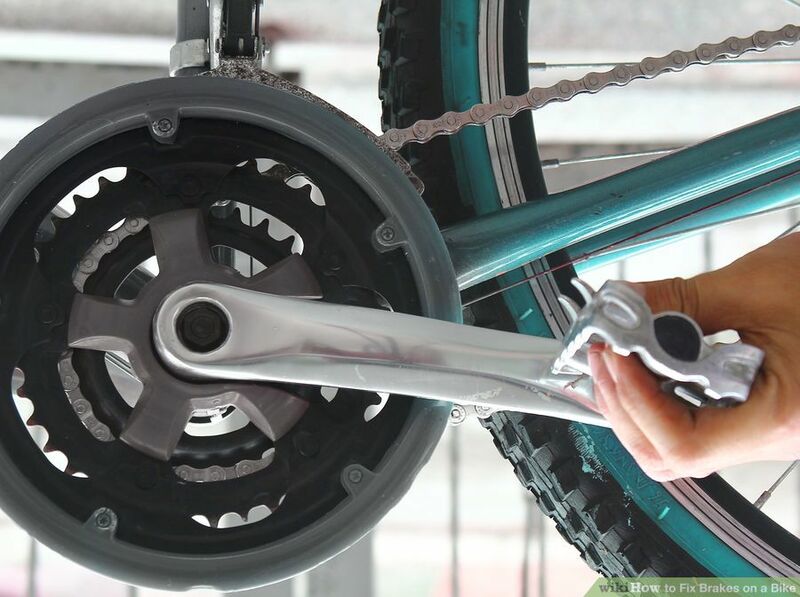 On “Bendix” type coaster brakes, the brake arm is a flat, steel “arm” attached to the rear axle opposite from the chain, which is clamped to the lower frame. Look to see if the clamp has become loose, allowing the arm to rotate with the axle. 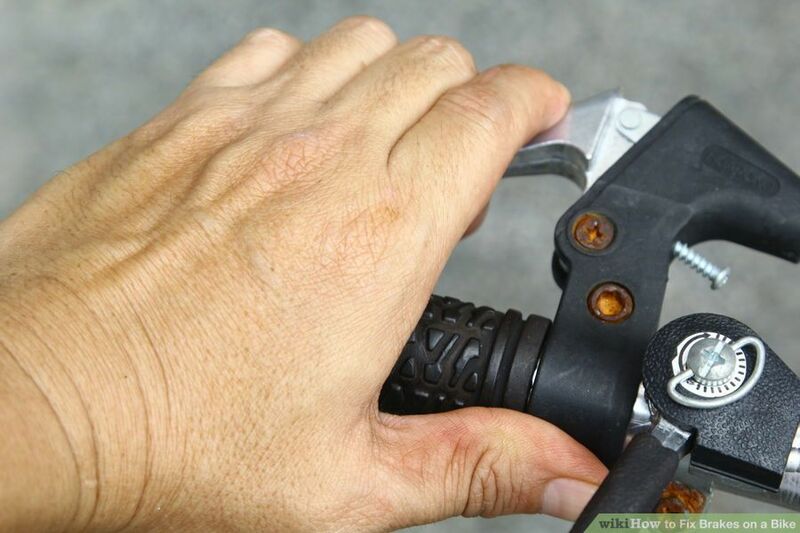 If it has become detached, reclamp the brake arm facing the front of the bike.